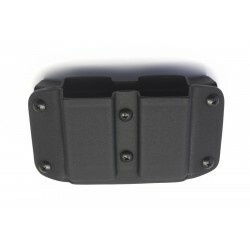 Inside waist band pouches for highly concealed every day carry. Inside waist band magazine pouches (P-10 C) There are 10 products. 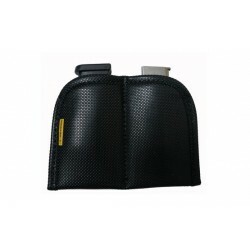 Kydex single inside waist band magazine pouch. 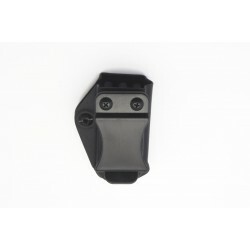 IWB tuckable magazine pouch by Quantum Carry. 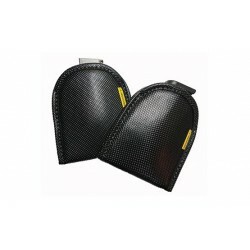 Double magazine pouch by Quantum Carry. 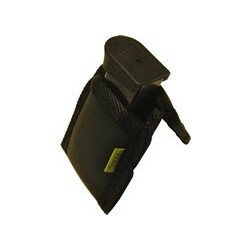 IWB or OWB magazine pouch by Quantum Carry. 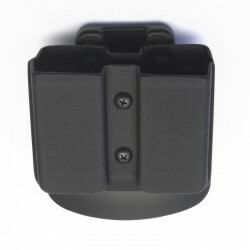 Double Accessory Holder (2 compartments) Compartments can accommodate a single stack .22 to a double stack .45 magazine, speed strip, small flashlight, or knife. 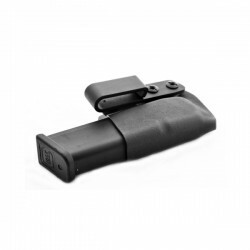 Two pack of Single Accessory Holders (1 compartment in each holder) Compartment can accommodate a single stack .22 to a double stack .45 magazine, speed strip, small flashlight, or knife. 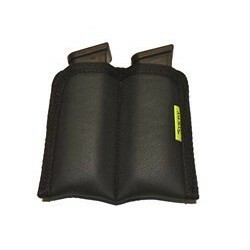 Multi-purpose double mag pouch by Sticky Holsters. 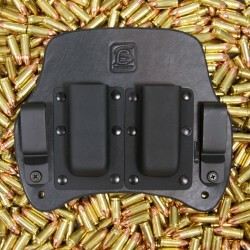 Multi-purpose mag pouch by Sticky Holsters.